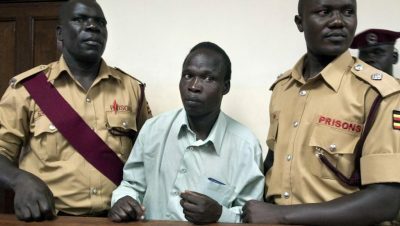 The pre-trial hearing of Thomas Kwoyelo, a senior commander in the rebel Lord’s Resistance Army (LRA) group, indicted on war crimes in Uganda, South Sudan and the Democratic Republic of Congo between 1987 and 2008, flopped on Monday after defense lawyers failed to show up in court in the northern Ugandan town of Gulu. The International Crimes Division (ICD) of the High Court of Uganda had scheduled the pre trial to commence on 15th August at the Gulu High Court. 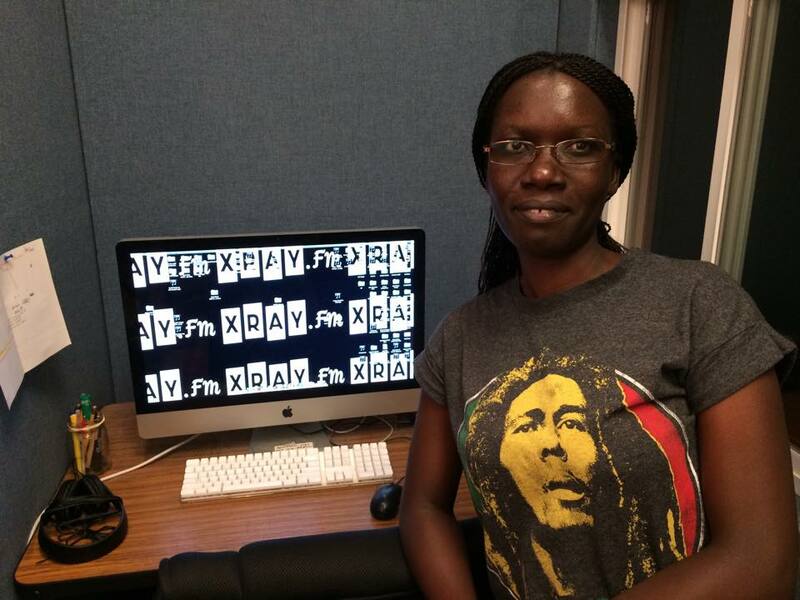 Suzan Alupo, a Transitional Justice lawyer with the Refugee Law Project, who was present in court, said the case was adjourned to Tuesday 16th because defense lawyers Caleb Alaka and Nicholas Opio were not in court. According to the defense counsels they were not served with notice. But there was proof from the registrar that they had duly been served. “So court was adjourned to give the accused an opportunity to speak to his lawyers and ensure that they appear in court tomorrow,” Alepo said. In his brief appearance before high court Judge Suzan Okalanyi, Kwoyelo a former commander in the Lord’s Resistance Army rebel group said he wanted his case heard and justice served. He is facing charges of war crimes and crimes against humanity. The Prosecution team was represented by three lawyers. The lead counsel is Charles Kamuli assisted by Willam Byansi and Florence Akello. The pre trial is expected to last three days. Kwoyelo’s trial was halted in 2011 following a Constitutional Court ruling that he was entitled to amnesty under Uganda’s Amnesty Act 2000. But the Attorney General appealed this decision and in April, 2015, the Supreme Court ruled that Kwoyelo’s trial is constitutional and does not violate the provisions of the Amnesty Act. Kwoyelo was arrested by the Uganda People’s Defence Force (UPDF) in 2008 and was at the rank of colonel in the rebel army. 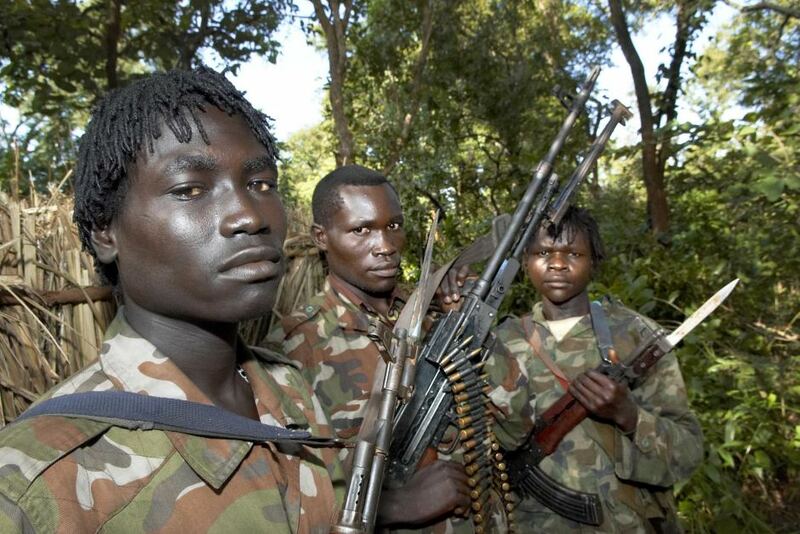 Tens of thousands of Ugandans were killed and others maimed by the LRA war in Uganda which lasted for two decades. Refugee Law Project has set up an overflow facility to enable the victims and general public to attend and observe the court sessions. RLP will also facilitate victims’ representatives from the ICD investigation sites to attend and participate in the pre-trial, as well as documenting the court proceedings. The pretrial of former LRA commander Thomas Kwoyelo has now been adjourned to 21 September. Gulu High Court judge Susan Okalanyi suspended the matter after Kwoyelo’s defense lawyers Caleb Alaka and Nicholas Opio failed to show up for a second day in court. The Court has also appointed two lawyers on a State brief to represent Kwoyelo. They are Charles Obwonya and Anyoro Geoffrey. Suzan Alupo, a transitional justice lawyer working with Refugee Law Project, said the new lawyers asked for more time to study the case. “The law is that every accused person has a right to legal representation. There are times when the accused choose their own lawyers, but in circumstances where the accused person has no one to represent them, it is the obligation of the court to ensure that he has a lawyer, so the court appoints state lawyers to stand in for the accused person to ensure there is a fair hearing. It would be unfair for the proceeding to continue without the accused having a lawyer,” Suzan Alupo explained. Kwoyelo was indicted on war crimes and crimes against humanity. 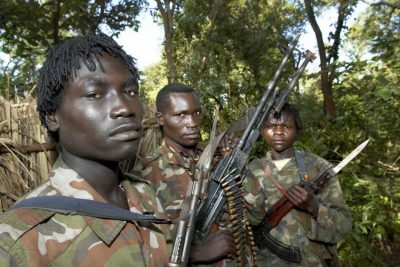 He committed the offenses during a two decade LRA war in northern Uganda, South Sudan and Central African Republic between 1987 and 2008.